Bus Tours Detroit: Take a Trip to Nashville! 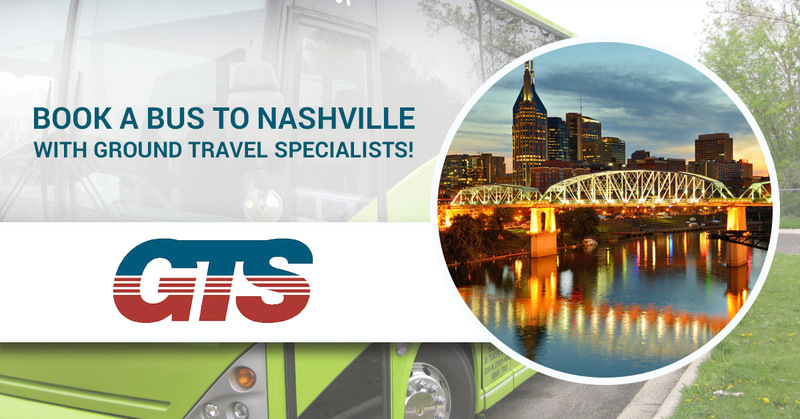 Book a Bus to Nashville With Ground Travel Specialists! If you and your friends, relatives, or fellow parishioners are fans of country music, there’s no better place to visit than Nashville, TN! This historic city is rich in culture, food, and nightlife. Call Ground Travel Specialists today to book a bus for your trip, and read on to find out about a few of the exciting things you can see or do in Music City U.S.A.! The longest-running radio show in the United States, the Grand Ole Opry has been an institution of country music since 1925. Since that time, generations of country music artists have graced its stage and helped to showcase both the tradition and innovation of the genre. You can find tickets for upcoming broadcasts of the Grand Ole Opry online, as well as information about touring both the Grand Ole Opry House and the Ryman Auditorium — the historic first home of the Opry and the location of Opry performances from November through January. Step into American musical history and tap your foot while you do it! If you just can’t get enough country music, don’t forget to visit the Country Music Hall of Fame. Inside the beautiful museum, you can find exhibits that trace the past and the present titans of country music. The Hall of Fame Rotunda features only those who have been inducted into the hall itself. The exhibit was designed to show how country music has grown and changed over the years by placing each inductee into context with those that came before and those that followed them. Exhibits change often and cover contemporary artists like the Zac Brown Band to the legends like Johnny Cash, Hank Williams, Patsy Cline, and Waylon Jennings. If you’re looking for something Classical, the Parthenon in Centennial Park is the world’s only full-scale recreation of the Parthenon in Greece. Inside of this magnificent structure is a museum and a 42-foot tall statue of Athena, gilded in gold and based on the lost statue that was supposedly located inside of the Greek Parthenon. The scale and accuracy of the structure and the statue are breathtaking. You wouldn’t go to Texas, North Carolina, or Kansas City without getting some BBQ, would you? When you’re in Nashville make sure to try some of the world famous hot chicken that originated at Prince’s Hot Chicken Shack. Prince’s is still around and serving delicious spicy chicken, so give them a shot and then try out some other local chicken places. Each one does it a little different but one thing’s for sure — you’ll want to wash your hands after eating it! As you can see, there’s tons of exciting things to do in Nashville! Apart from what was mentioned above, Nashville has tons of unique shopping opportunities and an amazing nightlife full of clubs, bars, and restaurants that are teeming with music of all types. If you’re looking for an exciting weekend trip to Nashville, or anywhere else, call Ground Travel Specialist today. Our fleet of clean, comfortable buses can take you and your group wherever you want to go and we’ll get you there safe and sound.